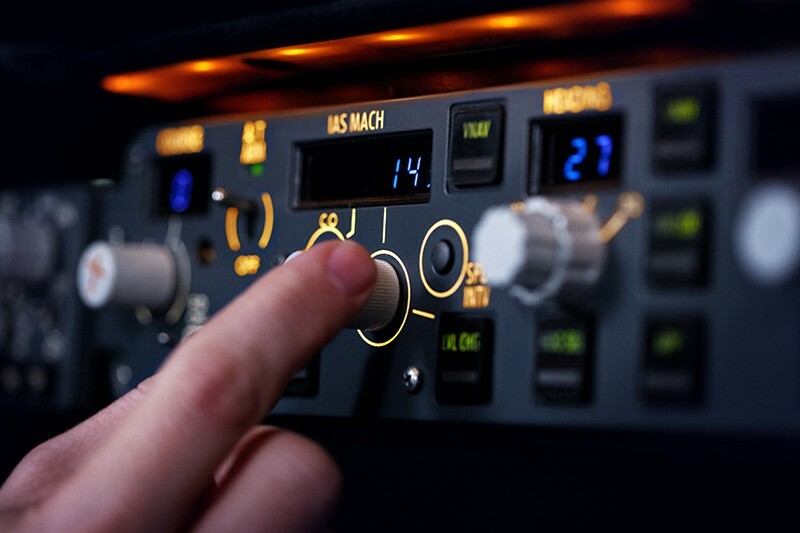 Our in-house 737 flight simulator is a high fidelity professional device. It features a collimated visual display and motion cue system. The flight controls are full feel / dynamic loading. Visual display is to Level D standard. 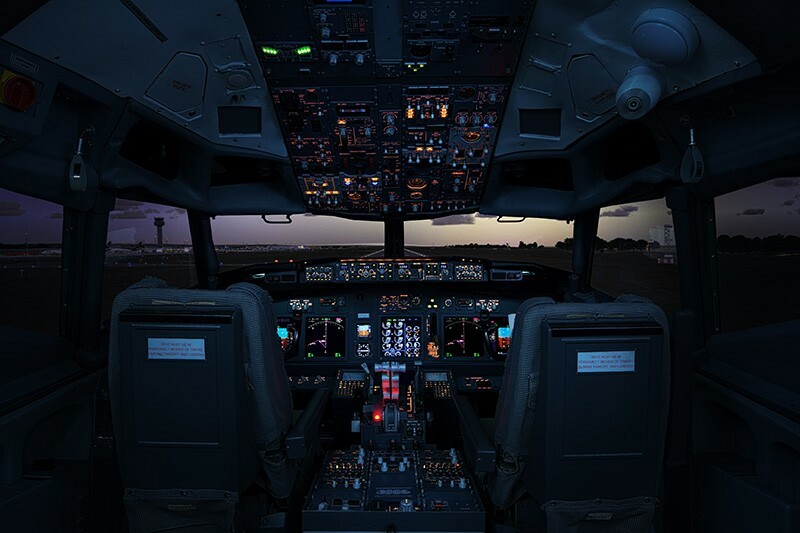 The 737 simulator offers the full Boeing Glass Cockpit, dual FMC, MCP and EFIS with dual QNH and Flight Director system. Full aircraft systems. Auto throttle, GPWS with TCAS. Typical failure generation via instructor station, environment control (CAT III capable autoland) rapid reposition. We run a monthly navdata cycle with world wide database including generic airports and selected detailed airports. 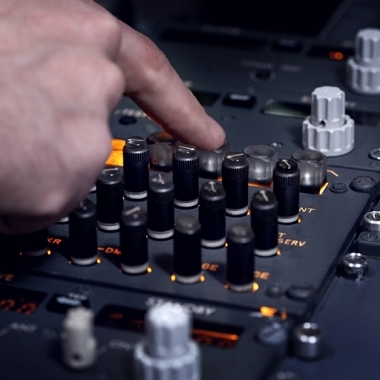 Our 737 flight simulator can be loaded with different operational pre-sets. And also includes the option to switch to the EFIS mode glass cockpit display layout (this was an early Boeing option introduced for launch customers [like South West Airlines]) and it enables you to practice a more traditional T scan of the flight instruments with analogue ASI / PFD / HSI / VSI. 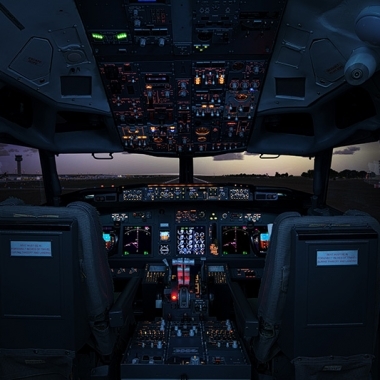 If you have an up and coming check ride is in a Boeing, the 737 flight simulator is the ideal solution with our training captains for that all important preparation training. You can practice and prepare for all major airlines. We have all airline check ride profiles and formats in-house. We also have generic Boeing sim platforms covering 757, 767, 777 and 747. 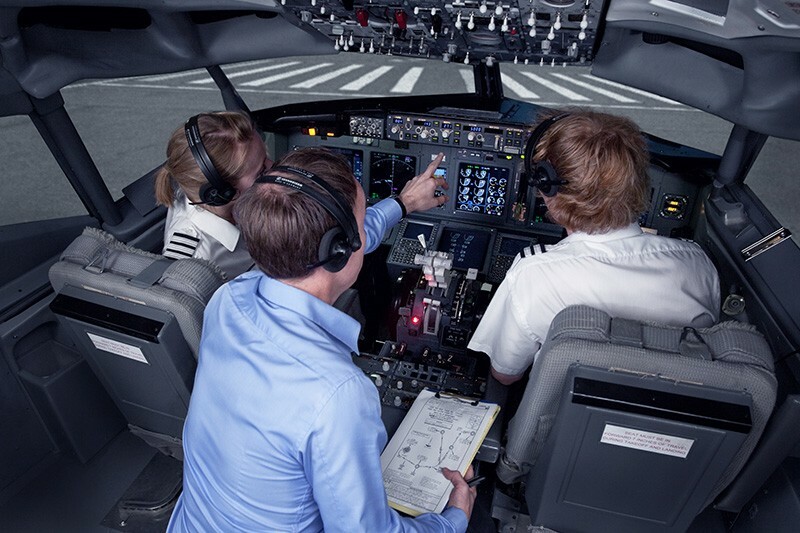 With the full glass cockpit, flight management system and automatic flight director system and overhead systems you can practice all areas of preparation training. 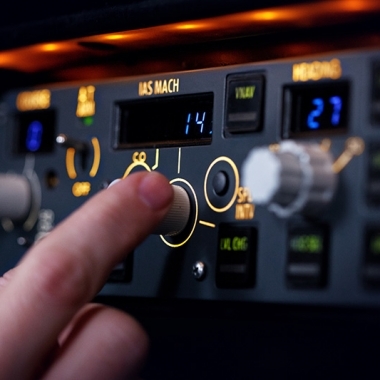 As the simulator has control loading / flight feel, you will also be able to practice single engine work accurately and feel the condition of the aircraft at all times. 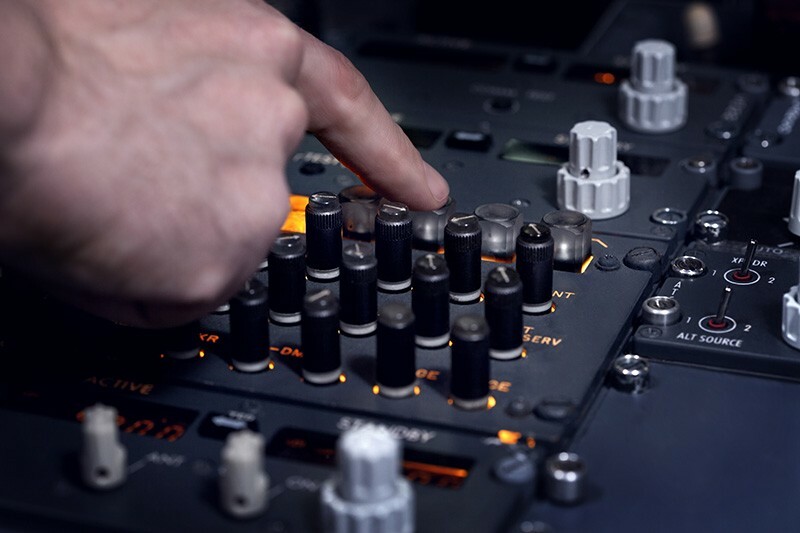 Our engineers maintain the simulators to the highest standard, and they are tested against qualified test data to ensure constant accurate flight feel. 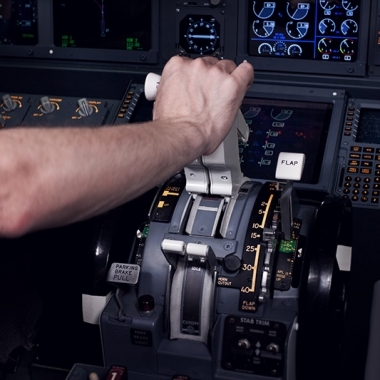 For some the 737 is their first exposure to the full glass cockpit, we will work you through that, help you develop your instrument scan and our instructors will help you with heavy jet handling and considerations. 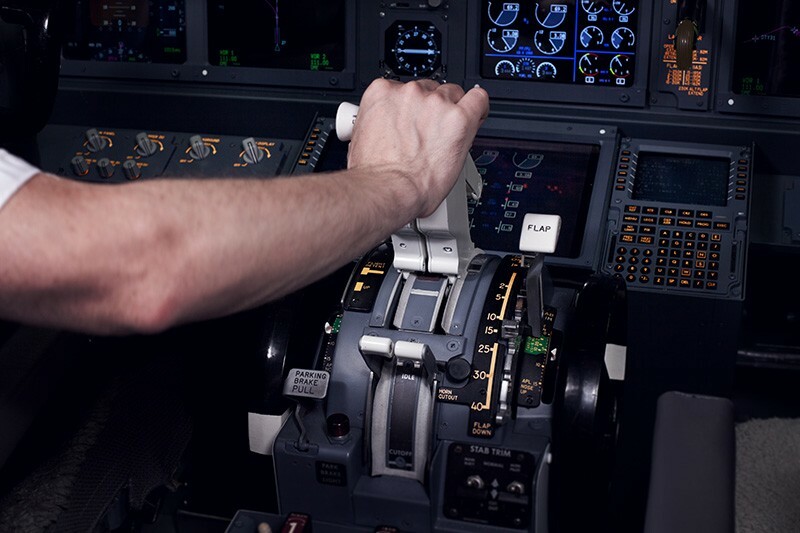 The 737 is an ideal aircraft to develop your early jet handling skills, whether you are experienced or with low experience it is an invaluable training tool. 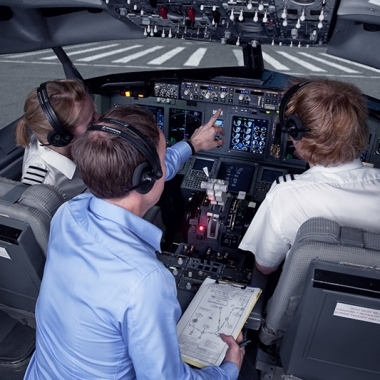 At pmFlight we are used to a varied pilot experience, and our instructors have exposure to this on a daily basis and will adapt to your needs. It goes without saying all simulator sessions are proceeded with full briefings and subsequent debrief. It is also possible to run sessions direct simulator for on-going training.